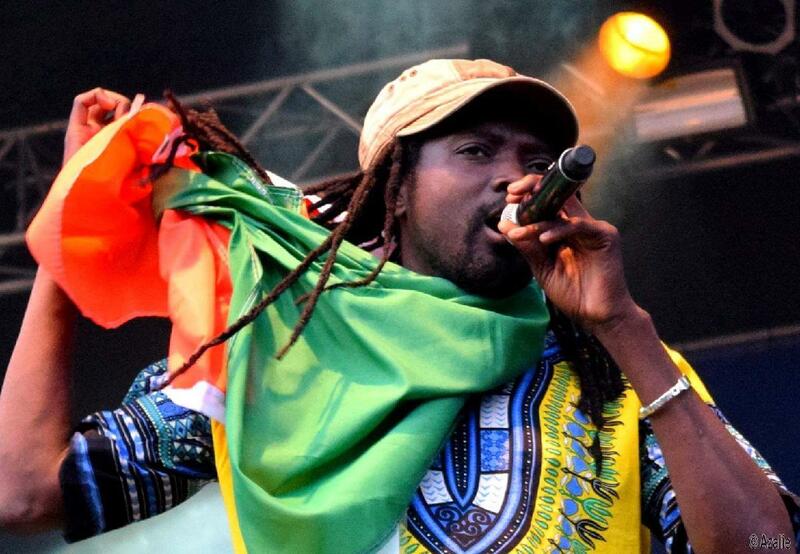 Sekouba Diakite is an Ivorian reggae musician. In the tradition of rootsy reggae from the 70s, Sekouba combines an eclectic mix of traditional West African rhythms known as Bolomba, using djembe drums and balafons. His potent lyrics, heavy ideas, and delicate voice are laced in his music in six different languages: Mandingo, French, English, Malinke, Bambara, and Dioula. He humbly has graced stages around the globe with generous performances, including Israel, Germany, Switzerland, Mali, Senegal, Burkina Faso, Cote d’Ivoire. After being enriched into the roots of the Bolomba style in The Gambia, the young Sekouba came alive with the West African sounds of the Mandinka. Sekouba’s desire to sing came naturally but it was never a reality without the musical influence of his brother, Ismael Isaac. Sekouba’s other musical influences include, Lucky Dube, Alpha Blondy, and Bob Marley. Sekouba’s uplifting and heartening lyrics enliven audiences with spiritual liberation and African consciousness. His debut album “I’m So Glad” was self-produced in New York and arranged by Oscar Ankou. Sekouba’s sophomore album in 2010 “Sejo” was co-produced by Sidney Mills, Grammy award-winning reggae artist and keyboard player for the legendary band Steel Pulse. The album includes outstanding, liberal tracks like “Mandela,” featuring Bob Marley’s guitarist Junior Marvin from The Wailers. “Mandela” is a sharp and arousing tribute to former President of South Africa Nelson Mandela, and has been well-received by international fans. Sekouba and his band Bolumba Stylee have decorated the nation with groovy, soulful performances at venues and festivals such as Fête de la Musique in Mali; SummerStage in New York City, alongside Israeli artist Idan Raichel; NJPAC SummerStage; New Haven Music Festival; Brooklyn’s International African Arts Festival; S.O.B.’s; Shrine World Music Venue; and many more. Sekouba’s music is inspired by a conglomerate of modern day music, and the ancestral dialogue passed down to him as a descendant of a long line of griots. In one show, Sekouba’s listeners share in a universal experience.